I've been privileged to occupy the Communication Chair position of the BC Chapter of the Graphic Designers of Canada. A few days ago I started on this summer's BBQ poster. Here's a sneak peak of the work so far. Should be seeing the final early next week at on the GDCBC chapter page. 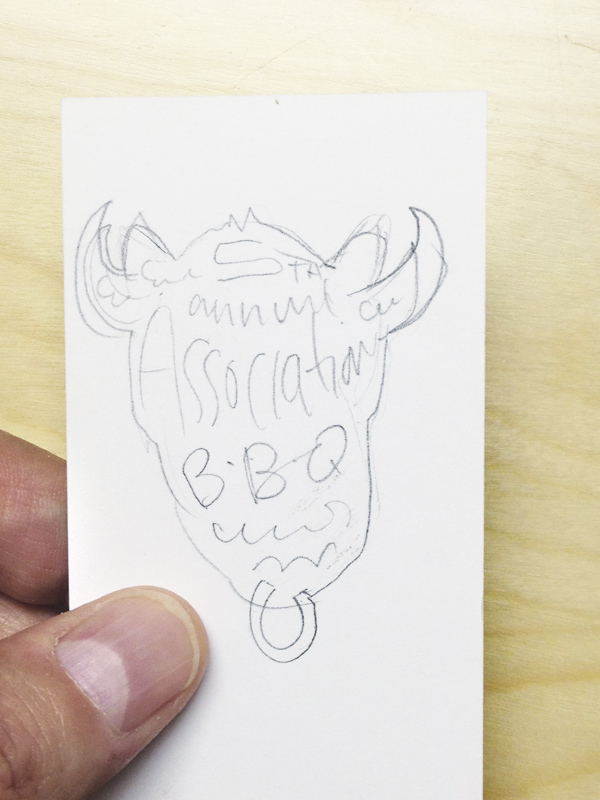 Original sketch on the back of a business card. First sketch of the head. Roughly drawn type elements. Eventually will be painted with BBQ sauce. Second iteration before painting with BBQ sauce. The event is on August 15, 2013 at the picnic area of Trout Lake Park. Anyone can come. You don't have to be a member.